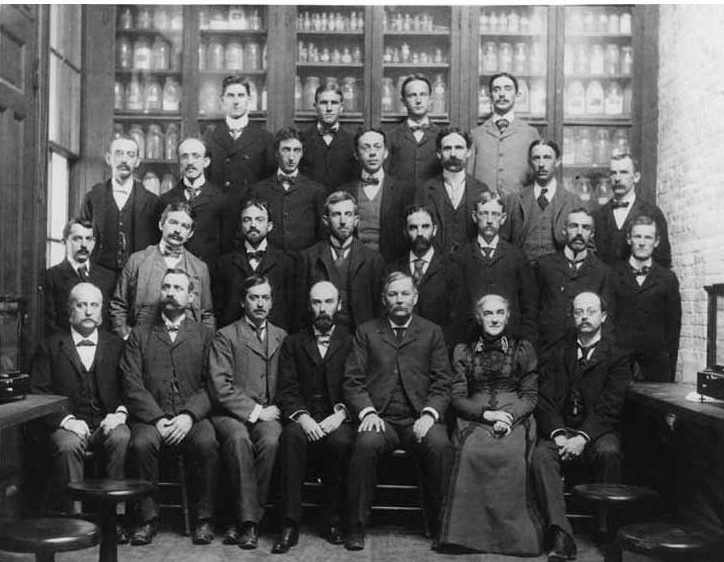 Scientist and reformer Ellen Richards (1842-1911) worked during the early Progressive Era in the sciences. She was the first woman to graduate from and teach at Massachusetts Institute of Technology. Interested in chemistry, Richards practiced science prolifically, including mineralogy, hydrology, sanitary science, nutrition and home economics. Richards also worked tirelessly to bring scientific opportunities to women, ranging from professional women with careers to housewives and mothers. For Richards, science – particularly chemistry – was the best tool for understanding life both in and outside of the home. At a time when science was becoming institutionalized and departmentalized in academic and research institutions, Richards published pamphlets, self-help books and how-to manuals to educate women and encourage their professional and educational development outside of institutional boundaries. Her attention to scientific principles established home economics within politics and culture by instituting home economics classes in schools and universities. In her published writings where she argued for the importance of home economics in day schools and Universities, Richards emphasized the home as a perfect laboratory for daily scientific work. Richards’ work in home economics offers a glimpse into the culturally conceived boundary of public and private as what counted as “scientific” passed porously through public and private spaces. My dissertation explores this overlap between public and private by looking at Richards’s personal letters, published books and articles, and the papers of organizations Richards’s helped to start and/or contributed to, such as the American Collegiate Association (ACA), today the American Association of University Women (AAUW) and the Women’s Educational Association. Unfortunately, there is no single comprehensive archive of Richards’s letters, although there are small collections at Massachusetts Institute of Technology, Vassar College and Smith College. In order to find a significant amount of material on her life, I had to triangulate multiple archival holdings of her friends and acquaintances who often held letters from her to them, and sometimes their responses. These included the Marion Talbot papers at the University of Chicago, the Isabel Bevier papers at the University of Illinois-Champaign, the Melvil Dewey papers at Columbia University, the Edward Atkinson papers at the Massachusetts Historical Society, and the ACA Papers at the Schlesinger Library at Harvard. Having the resources to travel to these collections was one of the main reasons why I was successful in finishing the project. On nearly every research trip I was able to receive partial or full funding from the Susan B. Anthony Institute’s research grant. Having access to the multiple collections helped me delve into the many aspects of Richards’s life – her role as an academic, a wife, a scientist and a reformer. Beyond research money, SBAI employing me as an adjunct for the course “Feminism, Gender and Health.” Working with SBAI students and faculty also helped enrich my dissertation. If it wasn’t for all the support I received – both financially and intellectually – I am certain I would not have been a recipient of a 2017 SBAI Dissertation Award. Serenity Sutherland is a former PhD from the University of Rochester’s History Department. She has a B.A. in History & English/Creative Writing from Binghamton University and a B.S. in Environmental Management & Technology from Rochester Institute of Technology. She also has a Graduate Certificate in Women, Gender and Sexuality Studies from SBAI and was granted with the SBAI Graduate Research grant in several occasions during her time at the University of Rochester. 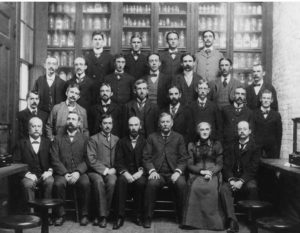 Her dissertation Discovering Science for Women: The Life of Ellen Swallow Richards, 1842-1911, was awarded the Susan B. Anthony Dissertation Award in 2017. She is an Assistant Professor of Communication Studies at SUNY Oswego. This entry was posted in SBAI Stories and tagged #SBAIgrads, SBAIdissertationaward, SBAIresearchgrants, SBAIteachingfellwoship. Bookmark the permalink. Very inspiring! Thank you for this article!